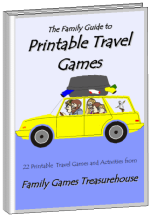 My name is Andrew and, together with my family, we are Family Games Treasurehouse. My background is in high-school science teaching but my heart is with my family. My wife and I have seven children, aged from 6 to 18 (as at Feb 2009) - five boys and two younger girls. As an Australian family, you'll have to excuse our spelling. Although we have used "Parlor" to describe some of our games (because our American cousins don't know how to spell Parlour), we still spell "colour" and other words the way we are familiar with. 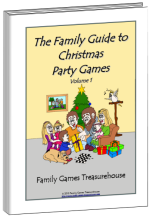 You may also find our descriptions of games a little different to the way you remember them. 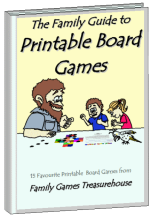 We try to research the many variations of games as they are played in different countries and choose the most popular. Variations are often listed at the end of the description. We apologise if we didn't find them all. So why did we start this website? It has been our dream for a long time to generate an income while working from home. We wanted flexible hours and the option of being able to continue producing an income even when we were on vacation. An internet based business would answer these dreams but we knew nothing about how to start one or how to make money from one. You may have noticed the "Powered by: Site Build It!" logo at the foot of each page. That's because we discovered Site Build It! (SBI! ), a website building company that provides a total package to assist people develop their own profitable internet business, even for absolute beginners like us! If you have a dream of operating your own home business but don't know how to start, why not check out SBI! to see if they can help you? If you would like to watch a few short video testimonials from other happy SBI! Owners, you can check out this link to SBI! Owners. (Both links will open in a new window.) You can also check our About This Site page for more information about our journey with SBI! 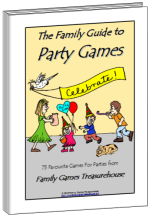 We would love to send you our free monthly e-zine Family Games Newsletter which includes reviews and updates of a variety of excellent family games. Simply fill in the form below to subscribe. 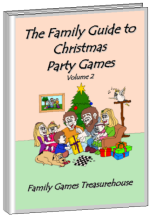 I promise to use it only to send you Family Games Newsletter.